An effective leader skilled at aligning diverse perspectives toward shared goals and outcomes, Betsy Jones brings to HMA 25 years of experience working with health and social services partners to transform systems of care for vulnerable populations. Her career spans community health, community-based nonprofits, managed care, and government. Betsy joins HMA most recently from King County, where she was appointed health and human potential policy advisor to King County executive Dow Constantine in 2012. In this role, Betsy guided policy priorities through government and legislative processes and facilitated cross-sector collaboration with King County department leadership, community stakeholders, and other partners to ensure the success of integrated policy initiatives to advance King County’s strategic plan and improve the health and well-being of King County residents. Keystone initiatives included full integration of physical and behavioral health for King County’s Medicaid beneficiaries; King County’s Accountable Community of Health (ACH), implementing the State of Washington’s $1.5 billion, five-year global Medicaid waiver in King County; and Communities of Opportunity (COO), a multi-million dollar partnership with Seattle Foundation and community partners to address health, social, racial, and economic inequities across the region by focusing on places, policies, and systems changes. 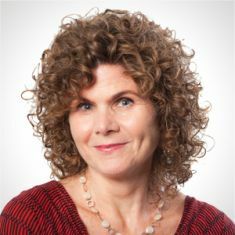 As director of product development at Community Health Plan of Washington in Seattle, Betsy was responsible for program development, innovation, and behavioral health integration for a 280,000-member nonprofit health plan that provided services to the underserved. She oversaw the design and implementation of a state-wide, evidence-based, innovative healthcare program that integrated primary care, mental health, and substance use services for high-risk, high-cost individuals. In its first two years of operation, the program saved the State of Washington more than $10 million. While at Community Health Plan, Betsy designed and implemented a state-wide managed care program that provided healthcare and community services coordination to disabled health plan members, and designed and implemented a pilot program that offered onsite and community primary and specialty care services to institutionalized offenders at correctional care facilities across the state. She earned her Master of Social Work from the University of Washington and her Master of Business Administration from the Thunderbird School of Global Management. She received her bachelor’s degree in Spanish and economics from Albion College. Betsy is the very proud mom of a teenaged daughter. She enjoys long runs, gardening, reading poetry, and tackling puzzles of any kind.